Look after your staff by providing them with this simple and cost-effective answer to a potential problem. 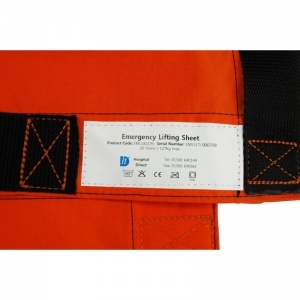 The Emergency Lifting Sheet is designed specifically for lifting in emergency situations where there is no other suitable equipment available. 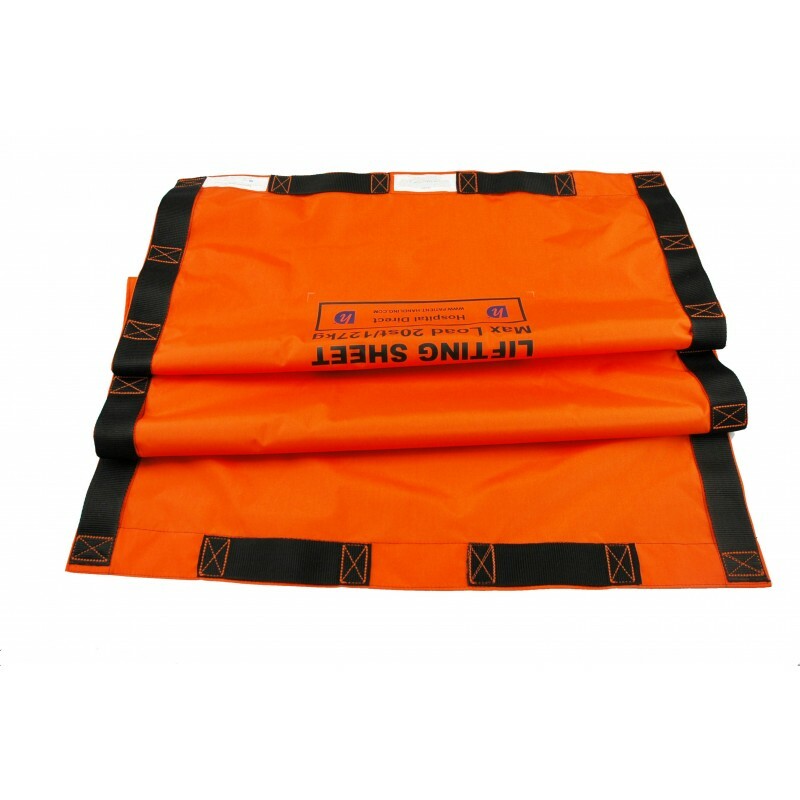 Strong, robust, fully waterproof and fire retardant, this sheet has been designed in conjunction with the Guidelines for Safer Handling during Resuscitation in Healthcare Settings and is tested to 20 stone (127kg). 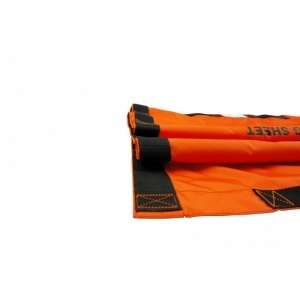 This Lifting Sheet is designed for use where there is no hoist available and you need to raise someone from the floor in a horizontal position. Strong, robust, fully waterproof and fire retardant, this sheet has been designed in conjunction with the Guidelines for Safer Handling during Resuscitation in Healthcare Settings and is tested to 20 stone (127kg). How to Use the Lifting Sheet? The transfer must be well-planned and all rescuers briefed. In total eight people will be required to assist. One person should coordinate the commands and lifting activity, and this person is also required to support the head. 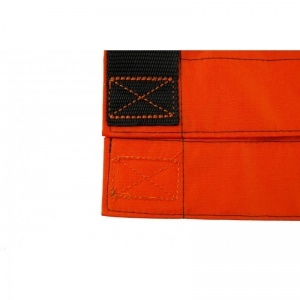 Ensure that a designated shifting sheet is available. A scoop stretcher may be used. Log roll the patient onto the lifting sheet. A minimum of three people are positioned on each side of the patient. 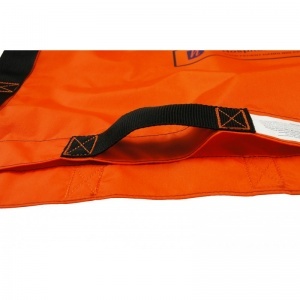 Where to Use the Lifting Sheet? 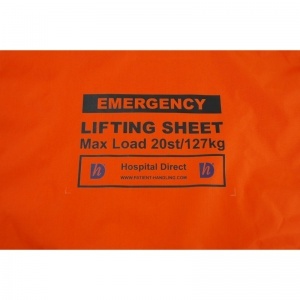 The Emergency Lifting Sheet is usually dispatched via First Class Royal Mail and delivery should be within 1 to 3 working days.